God knows what it means to be tired and worn out, and he is here to help us with ours. Pope Francis’ stressed this in his homily at the first Mass he has presided over in Panama City at the Cathedral of Santa Maria La Antigua, during the third full day of his Apostolic Visit to the country to celebrate World Youth Day. 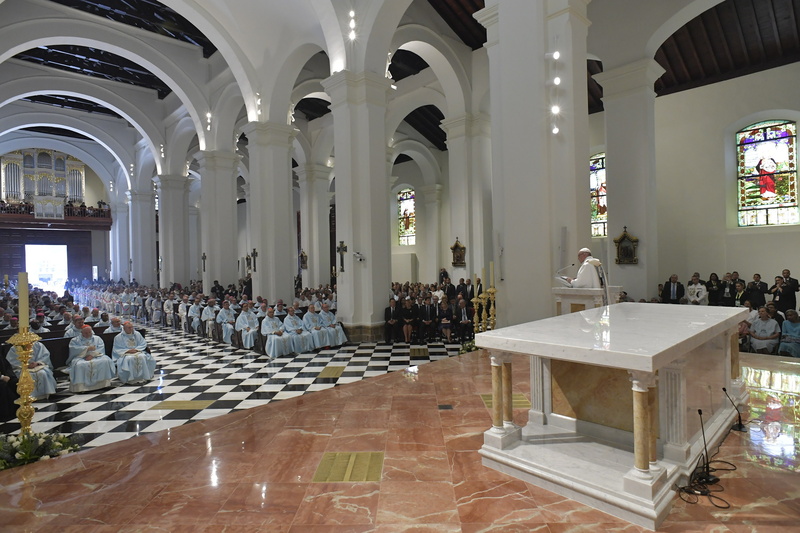 He also consecrated an altar in the newly-restored cathedral during the Mass for priests, religious, and members of lay movements, who had come not only from Panama, but from all over Central America. Francis’ first visit ever to the Central American county for the occasion of the XXXIV World Youth Day marks the Pontiff’s 26th international trip and his 40th country visited. In his homily, Francis warned against the weariness of hope, noting that there is the fatigue from all the commitments, daily tasks and so on, but then another type especially profound, one tied to this difficult phase the Church and its faithful are living through. “The weariness of hope comes from seeing a Church wounded by sin, which so often failed to hear all those cries that echoed the cry of the Master: “My God, why have you forsaken me? '” he said. He also warned against one of the greatest heresies of our time, namely that the Lord and Church has nothing more to say in today’s ever-changing world. What once arose to be the salt and light for the world, he noted, ends up stale and worn. After Mass in the Santa María La Antigua, the Pope went to the seminary, where he had lunch with the Archbishop of Panamá, José Domingo Ulloa Mendieta, and 10 young people from around the world.